Improvisation is usually either lionized as an ecstatic experience of being in the moment or disparaged as the thoughtless recycling of clichés. 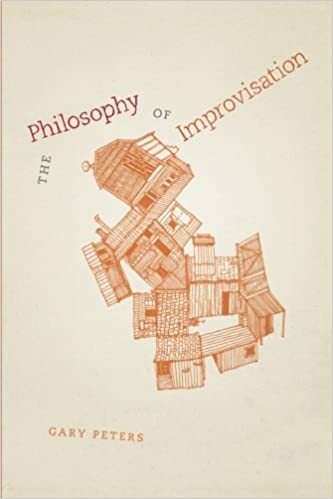 Eschewing both of these orthodoxies, The Philosophy of Improvisation ranges across the arts—from music to theater, dance to comedy—and considers the improvised dimension of philosophy itself in order to elaborate an innovative concept of improvisation. Gary Peters turns to many of the major thinkers within continental philosophy—including Heidegger, Nietzsche, Adorno, Kant, Benjamin, and Deleuze—offering readings of their reflections on improvisation and exploring improvisational elements within their thinking. Peters’s wry, humorous style offers an antidote to the frequently overheated celebration of freedom and community that characterizes most writing on the subject. Expanding the field of what counts as improvisation, The Philosophy of Improvisation will be welcomed by anyone striving to comprehend the creative process.